Badminton Horse Trials (7 - 11 May), the British equestrian event of the year, is fast approaching, and the Blair Castle Horse Trials; Scotland's leading equestrian event is taking place in August, and along with it another reason for horse lovers to get excited as a number of striking equestrian properties across Scotland have come on the market. Leading property consultancy, CKD Galbraith are handling a range of modern houses, original farm steadings and renovated buildings, all with spacious living accommodation, additional outbuildings, stables, indoor arenas and land ideally suited for equestrian enthusiasts. The firm has experienced high demand throughout the country for such properties and their ensuing lifestyle. This style of property is especially popular with families intending to run their own business or for equestrian lovers looking for a rural home with private facilities to allow them to keep their own horse and thus cutting out expensive livery costs in the process. Bob Cherry, partner and head of residential sales at CKD Galbraith's Ayr office, said: "As a firm we have many stunning equestrian properties for sale throughout Scotland that offer an attractive package, combining a beautiful home with the added bonus of grazing and additional buildings in some of the most stunning countryside settings around." Guide Price 1,100,000This is a striking period seven bed country house with extensive grazing, about 26.16 acres in total, and superb views across the Tweed Valley. Featuring 10 loose boxes and an Olympic size arena; it has been the home of dressage writer and international trainer Sylvia Loch and her family. 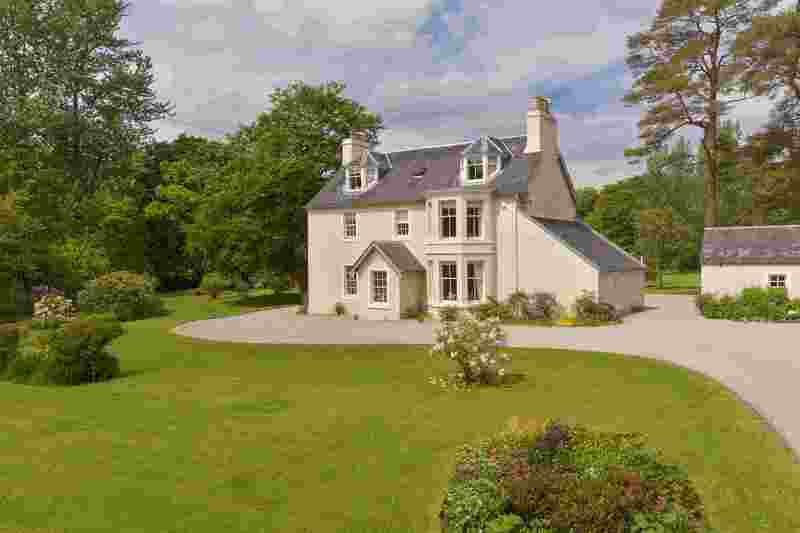 This is an exceptional architect designed house located on the edge of the Scottish Borders with land and equestrian facilities available as a separate lot. Recently featured on Channel 4, this extremely desirable property is approximately 4.3 acres in total and features; two reception rooms, two en-suite bedrooms and a further two bedrooms and bathroom. 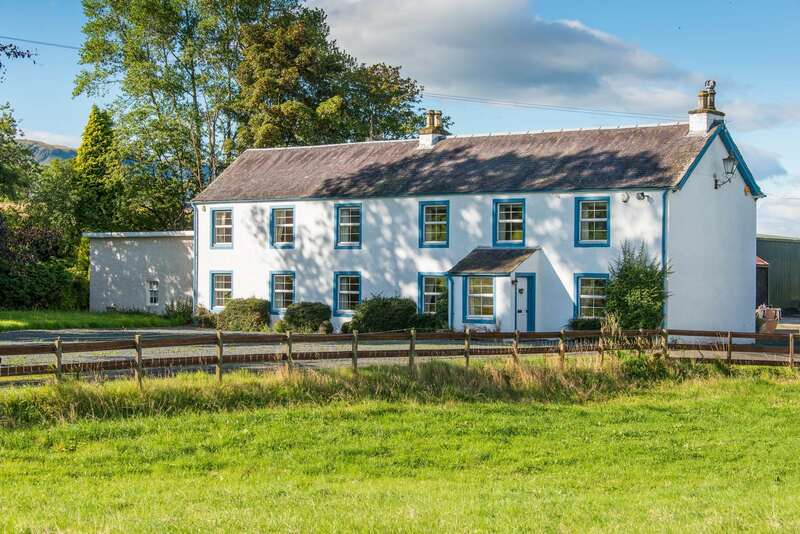 Provanston is an impressive family farmhouse with wonderful equestrian facilities set in approximately 15.4 acres of land and within easy reach of Glasgow and Stirling. The property includes ancillary accommodation/staff accommodations, an indoor equestrian arena and 33 loose boxes; making this property the ideal business venture as a livery yard or riding school. A picturesque estate with a pretty Georgian house at its heart the property includes 11.91 acres and equestrian facilities. The house has three reception rooms, five bedrooms (Master en-suite dressing room) and is situated in beautifully secluded grounds with salmon fishing rights on the River Stinchar, found at the bottom of the garden. 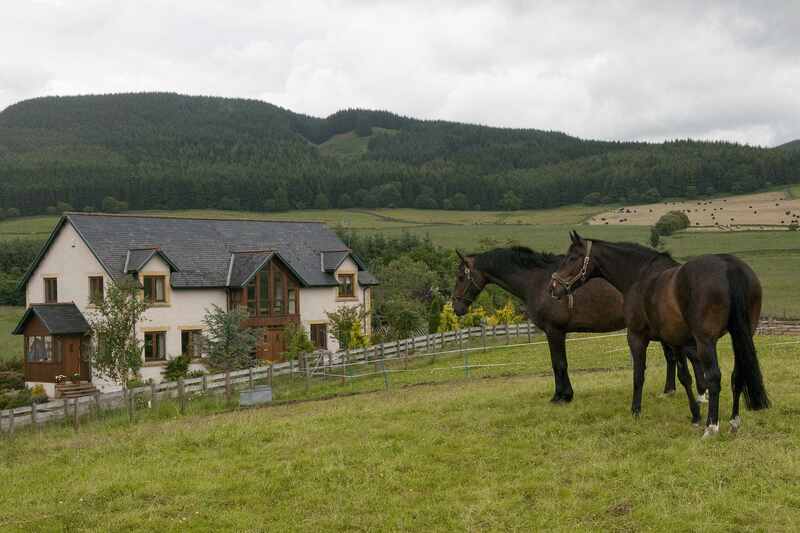 Achvraid Farm is an outstanding property on an elevated site with spectacular views over 67acres of land, equine paddocks and a range of Saltire loose boxes. The accommodation comprises of five bedrooms and the property processes the opportunity to generate income from a two bedroom holiday cottage.